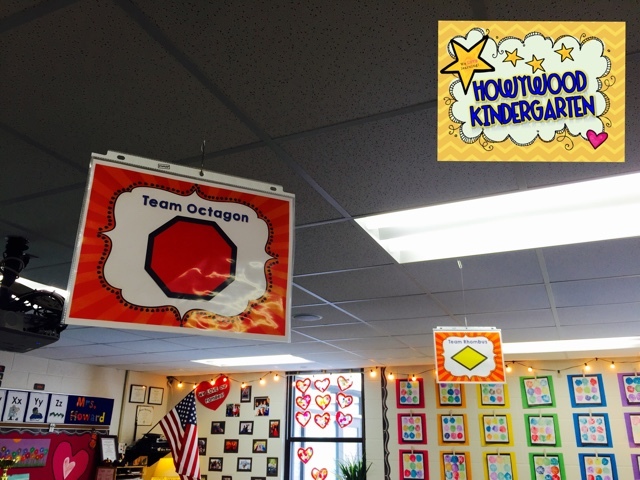 I have my Masters Degree in Elementary Education and I've been teaching 1st grade and Kindergarten since 2001 (love it!). One of my favorite things to do is create and share REAL, time-saving ideas with other teachers in hopes of helping make their lives easier and classrooms brighter ... so seriously, I'm glad you're here. Theres NO WAY I want to keep 20 years of learning, creating, and tried-and-true ideas all to myself. Come join the FUN! Hello, friends! 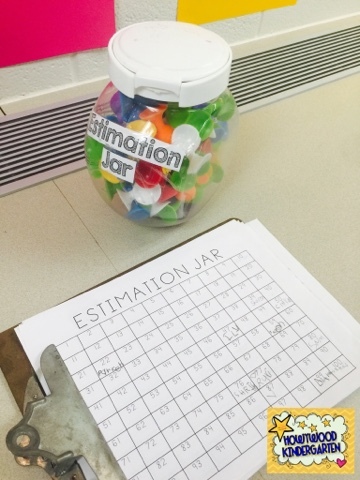 Have you ever tried starting an Estimation Jar in your classroom? 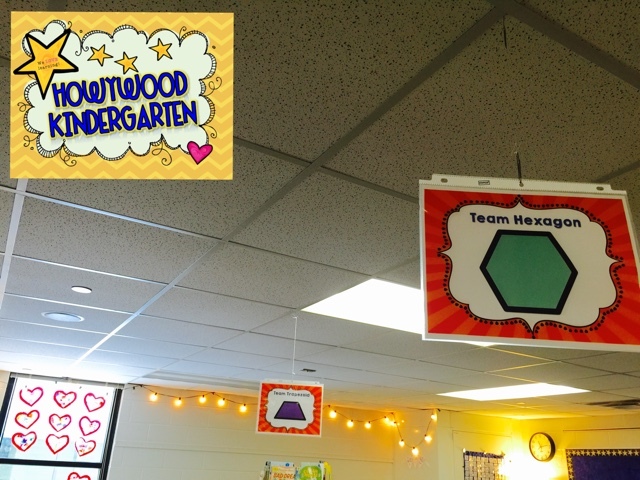 It's a super simple, year-round, valuable math activity that practically "runs" itself and only requires about 5 minutes of your class time per week! I've been loving "Estimation Jar" since I was a 1st year teacher (16 years ago!) and have tried to do the routine MANY different ways... Finally... I feel like I got it all figured out and wanted to publishing all the details so I can share it with YOU! Click this picture to see it in my TPT store! You’ll need to find a transparent container with a lid, but then EVERYTHING else you need, is right here! 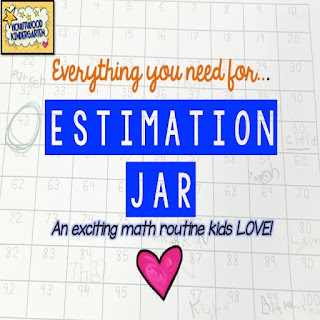 Time-tested, teacher and student approved, the Estimation Jar is something your students will look forward to every week! Estimating is a valuable mathematical skill for children to practice and develop. 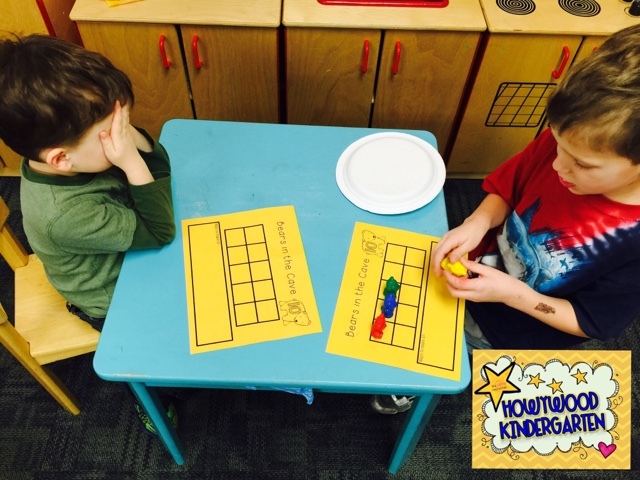 The Estimation Jar helps students grow their number sense and love of math! 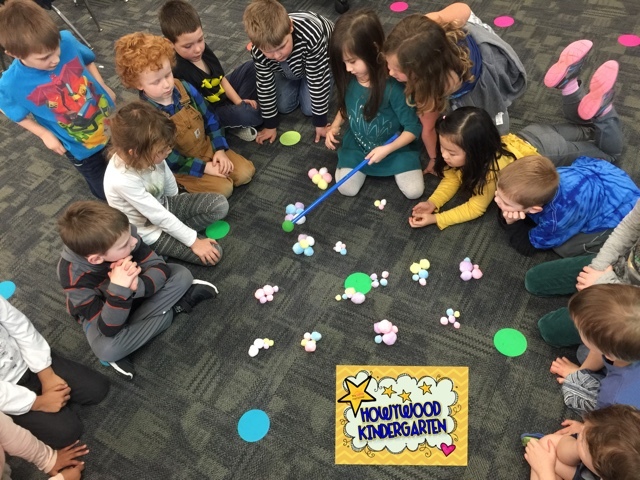 The jar is filled with less than 100 of something and throughout the week, kids estimate how many they think are in the jar. On Friday, you all count them up and the person with the closest estimate, gets to take the jar home and fill it for the next week! 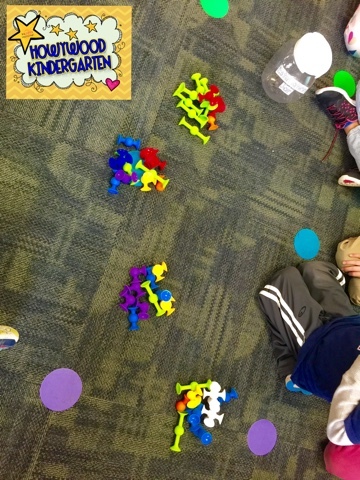 We sorted these "squigs" into groups of 10 for quick, easy (skill-building!) counting! * Full color photos, detailed directions, and expert advice about how to make this as easy and awesome as possible! *3 styles of EDITABLE recording sheets where students write down their estimates… just print and go! We dumped out the pom poms, quickly put them in groups of 5 and counted them up to see who was the closest!